Safety and security films provide protection for one of the most vulnerable parts of your home. Your windows are the source of wonderful views and natural light. Yet they are also leave you and your family vulnerable to threats like hurricanes and break-ins. 3M™ Safety and Security Film can transform your windows into a source of protection for your home. 3M™ Safety and Security Films are tear and penetration-resistant, holding glass fragments together in the event of an accident, break-in or violent storm. Our films significantly reduce the threat of injuries due to flying glass and deter intruders from breaking-in to your home. 3M™ Safety and Security Films comes in a clear version for safety-only as well as a combination of safety and sun control films. In Texas, it’s only a matter of time until the next major hurricane hits. 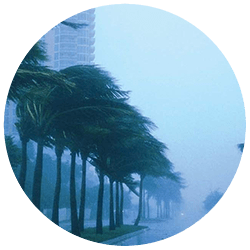 Left unprotected, flying glass, wind and rain from broken windows can cause significant damage to your home. More importantly, flying glass shards leave your family at risk to injury. By planning ahead, 3M™ Safety and Security Film on your windows can prepare your family for the worst. 3M™ Safety and Security Window Films also deter criminals from breaking and entering. 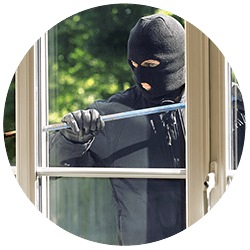 Since the window film helps hold glass in place, smash and grab thieves don’t have quick and easy access through your windows to steal your valuables. By significantly slowing down would-be thieves, it increases the chances that they will move on to an easier target. When you’ve got a family, accidents are a part of life. 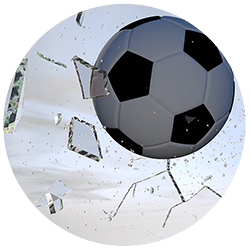 However, with 3M™ Safety and Security Window Films that hold glass fragments together, you can mitigate household accidents cause by broken windows and flying glass. The low cost investment of window film is well worth the benefits of accident avoidance.